Over the centuries that scholarly research has been published, people have developed systems to assess its merits. These systems have changed with the times as different needs and technologies have emerged. Today, changes are occurring in response to the proliferation and increasing availability of primary data. This reality has created the ability to evaluate research on many levels and with varying degrees of complexity. 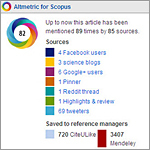 Systems that aim to assess the merit and impact of published research include altmetrics, bibliometrics and scientometrics, to name a few. These are used to evaluate the quality of research and measure its impact on an individual, institutional or program level. They include both qualitative and quantitative methodologies, including the application of quantitative and qualitative indicators. Despite the sophistication of today's evaluative metrics, their use has introduced some fundamental challenges to all who are involved in this process, including evaluators, administrators and researchers. 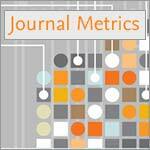 To support further development of scientific indicators and evaluative metrics, Elsevier has launched the Metrics Development Program (@EMEDP). The program aims to support researchers and research groups working on scientific evaluation metrics by offering sample data sets from various Elsevier databases as well as funding to support the research and development of algorithms, platforms and solutions. Proposals will be evaluated by an internal Elsevier committee headed by Dr. Henk Moed, a senior scientific consultant. Dr. Moed, who recently retired from Elsevier, will provide the scientific advice and evaluation of proposals. Each proposal will be evaluated based on its contribution to the development and/or understanding or modelling of scientific indicators as well as the soundness of the proposed methodology and its originality will also be considered. 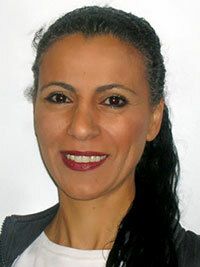 Dr. Gali Halevi is a Senior Research Analyst and Program Director at the Web Analytics group at Elsevier. As a part of her role, she is responsible for the development of Informetrics tools for Elsevier's leading products. In addition, she is the director of Elsevier's Metrics Development Program (EMDP) and the Research Trends Seminar series. She's also a member of the editorial board of Research Trends and a regular writer for the magazine. Working at Elsevier for 10 years, Dr. Halevi has served in several roles, including the development and implementation of customer training and educational programs and various research collaborations with academia, government and industry. Previously, she was an information specialist providing competitive intelligence services for pharmaceutical and financial companies.